There’s really no excuse not to be on social media nowadays. There are endless benefits that your advisor business can get from using social media. Not only is social media is a great way to grow your brand and interact with your audience, but it’s also a channel you can use to increase sales traffic to your advisor site. 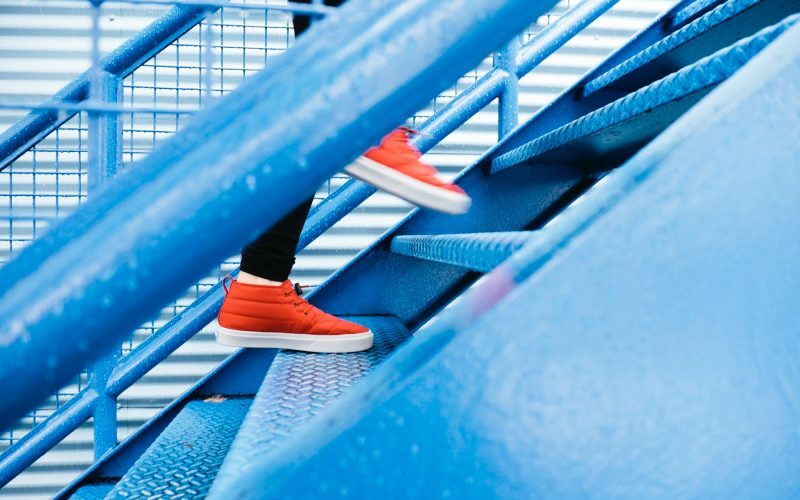 According to Hootsuite, there are now 3.196 billion people using social media – which is an audience you just simply can’t pass up to use for your digital marketing strategy. 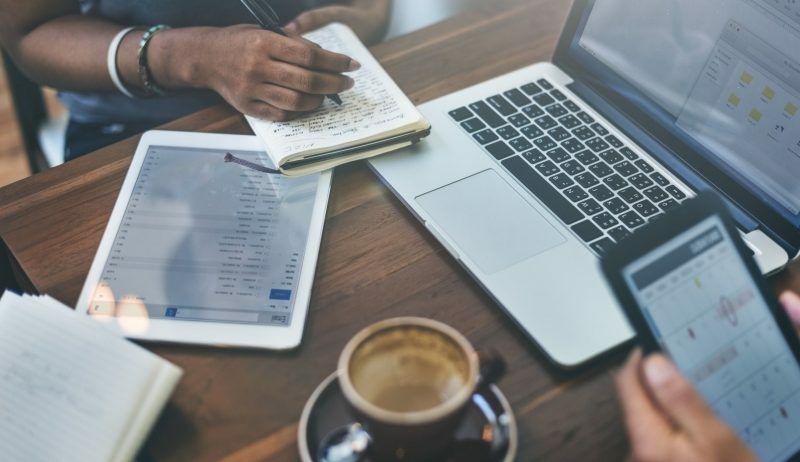 Although social media is something most people are familiar with, there are certain tips and tricks that can make your social media marketing more effective in generating sales and traffic to your website. Follow these six tips to start posting like a pro! 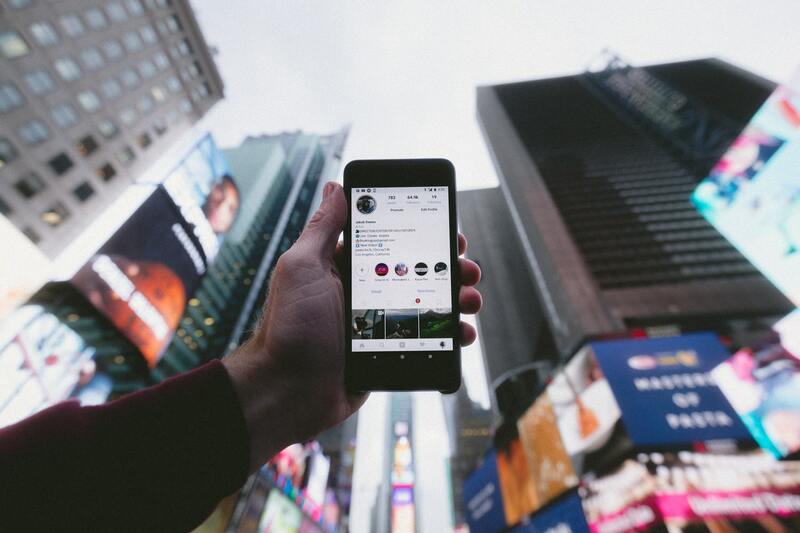 Your efforts on social media do no good if you aren’t where your audience is. Since most customers are seeking professionalism from a financial advisor, you can’t just sign up for Snapchat and expect to connect with the majority of your audience. We recommend first focusing on the big three: Facebook, Twitter and LinkedIn. These platforms will give you the opportunity to form professional relationships and create a voice for your advisor business. Your niche might use a certain social media platform more than others, so you need to identify where your target audience is spending the most time. Sprout Social reports that the biggest Facebook users are women (89%), 18-29 year olds (88%) and those earning less than $30,000 while LinkedIn’s biggest users are men (31%), those earning $75,000 or more (45%) and users with college experience (50%). 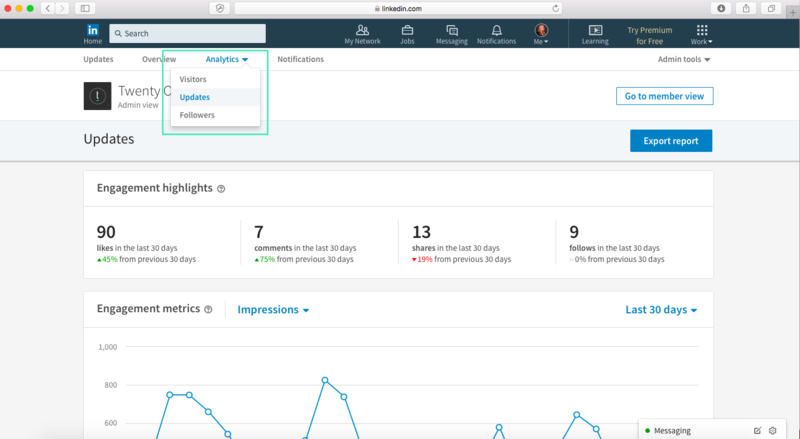 Most of the major social media networks now also offer their own native analytics tools. Meaning, you can access demographic information for those respective platforms by logging in and clicking on the “Insights” or “Analytics” sections. 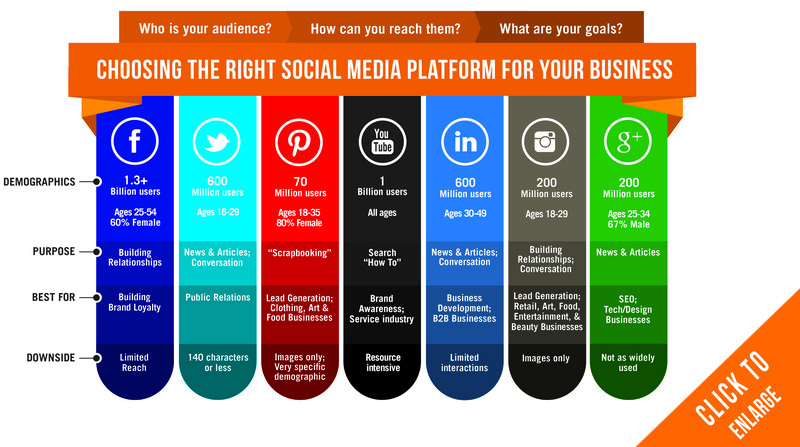 Finding the right social media platform gives you a better chance of reaching your target audience. Beware that what you post on each platform may differ, so make sure you’re posting the right types of content on each platform. In addition, posting at certain times of the day can also increase your views and engagement, so adopt best practices when it comes to when you should post on each platform. If someone clicks on one of your posts, they’re bound to be linked to your profile next! Whether it’s your bio, the about section or your profile picture, your profile shows visitors information about your business. That makes it the perfect place to include a link to your website. Having it right front and center on your profile will be sure to drive more traffic to your website as you start to post more on social media. So take another look at your social profile summary fields and about sections. Is it intriguing? Informational? Insightful? 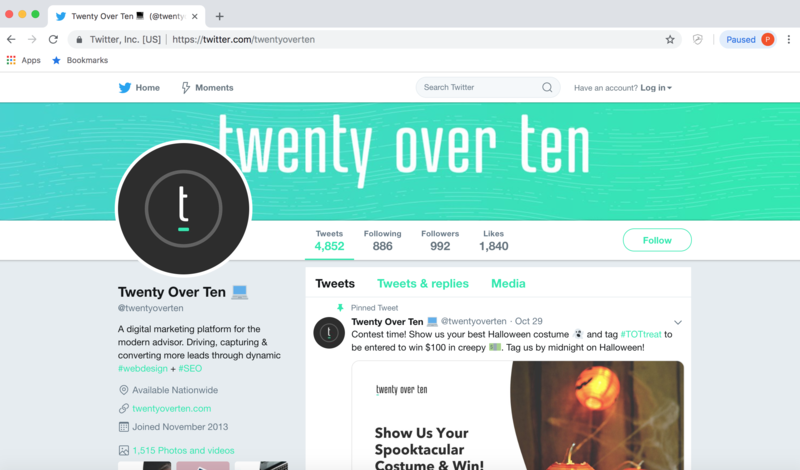 Twenty Over Ten‘s Twitter bio includes a description of our business and a link to our website. We should all know by now that content is 👑. It’s become crucial to create and share something that your audience would benefit from. Blogging is a great way to create content that exhibits your financial expertise and creates trust with potential clients. Within each blog, including internal links to your advisor site and past content can drive even more traffic to your services, ultimately increasing the possibility of a sale. Focus on visual posts: You can easily build graphics on Canva with free, quality photos from some of our favorite stock photo websites. Check out our example below for some inspiration! Make use of CTAs: Including a CTA or call-to-action with a link to the content is a must. Add phrases like “read more” or “visit our site” with a link to tell the reader where to go next. Use hashtags and tags: Use hashtags that potential clients would be searching for to extend your reach and be sure to ensure that your content reaches as many relevant followers as possible. If you feature or mention someone else in your content, make sure to to tag them, too! It will give you access to their audience on top of yours. 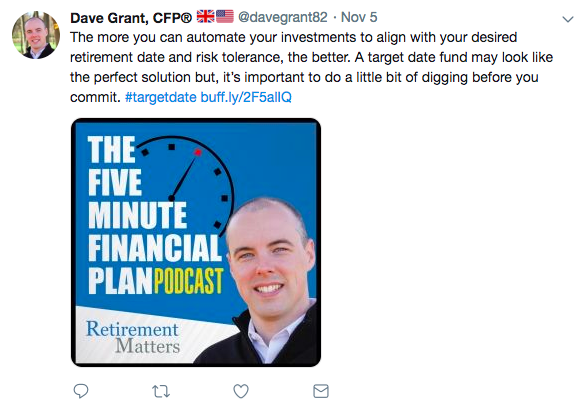 In the example above, Dave Grant of Retirement Matters includes a branded image along with an update on Twitter about a recently released podcast. Multimedia is another growing tactic for social media marketers. Pictures and videos can spice up regular blog content and social posts. Your audience simply doesn’t want to see all writing all the time, but multimedia is one of the top things clients want to see on your website and social accounts! While it shouldn’t replace creating and sharing your own content, sharing third party content is an easy way to provide more information for your followers and create relationships with other businesses. If you repost content from another source and tag them, it will increase your chances of being noticed and can even increase your follower base by getting access to their audience. Make sure any third party content that you share is credible and something your audience would actually enjoy. Twenty Over Ten shares FPA Publication’s post about their recent conference. Social media is unique in that you can engage directly with your target audience. Regularly engaging with your audience is necessary to create a long-term relationship. Being immediately responsive to any inquiries or interaction your posts receive is pertinent to increase your sales. Relationships take dedication and attention, and so does your social media following. 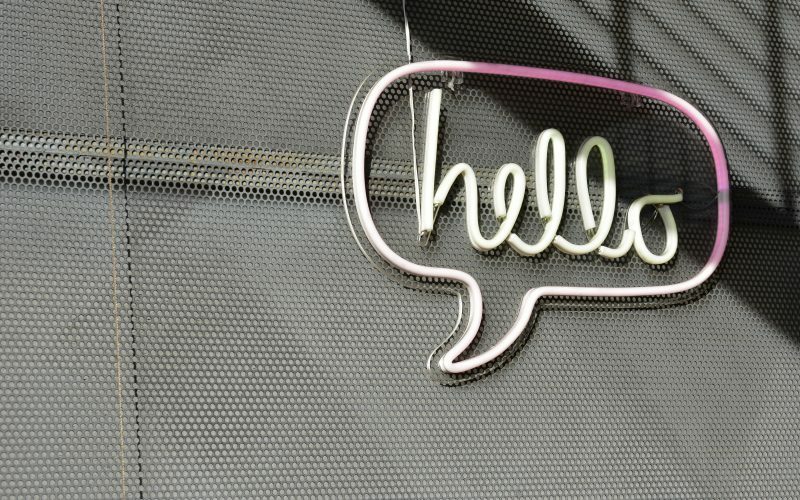 Don’t think of engagement as a single interaction with one of your customers – think of it as providing an open line of communication with your audience that will ultimately increase loyalty and sales for your business. 5. Give Some Personality to Your Posts! Sharing your content and updates about your business are extremely important, but make sure you leave some room for some fun! Sharing motivational quotes, posting about holidays, pictures from recent trips or fun facts about your team on can humanize your brand and create trust with clients. It allows you to mix it up from your normal social media posts and can be more relatable to your audience. 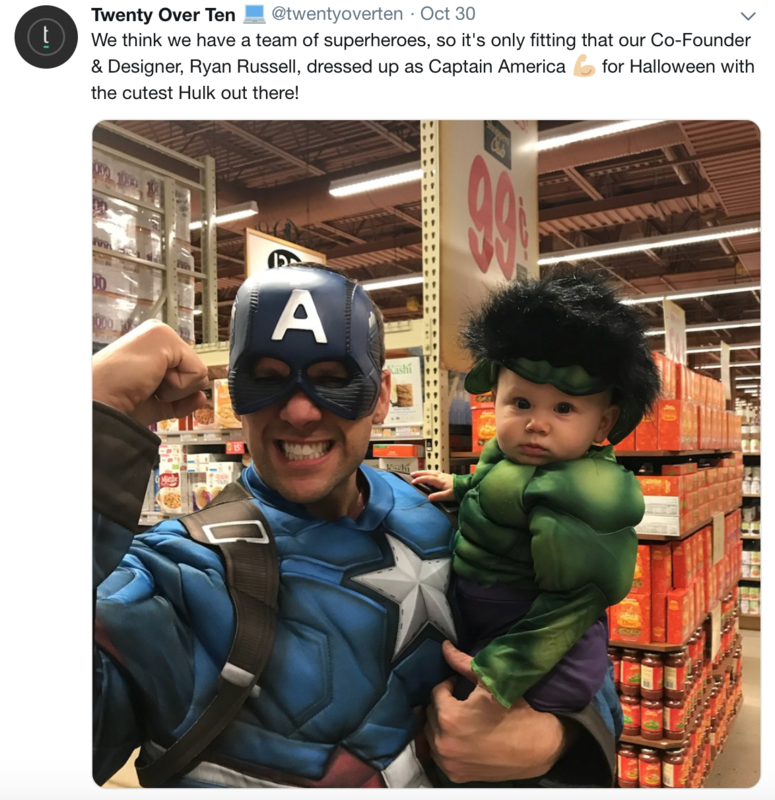 Twenty Over Ten shares a picture of one of our team members to get in the Halloween spirit! Although some of this might sound easy, you should always check up to see if you need to switch directions. Like any part of your business, social media marketing is an investment of both time and money and you should be checking in to make sure everything is running smoothly! 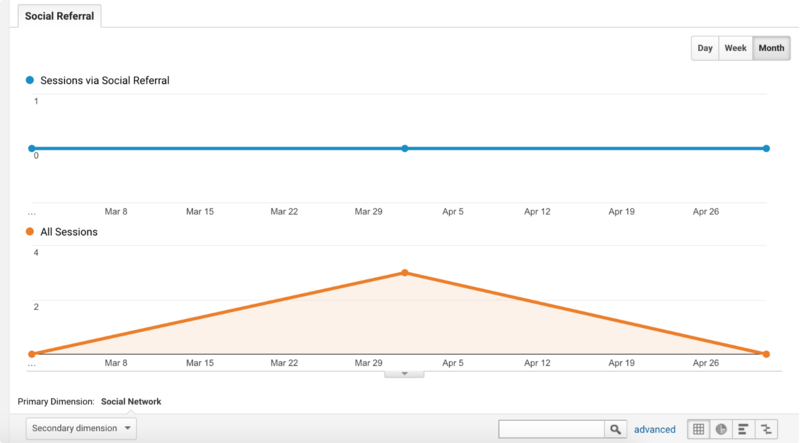 One way to see how many visits your site is receiving from social media channels is to take a look at your social referrals on Google Analytics. Most social media platforms have their own analytics tools now, too. Learn about how to use LinkedIn, Twitter and Facebook analytics tools here. If you’re not getting the referrals you want from social, you may need to take another look at your strategy. Need Help Perfecting Your Social Media Profiles? We can help! Work with our team to amplify experiences and drive conversations and conversions for your firm.